Our personal lawyers will act as your “trusted advisors”. They will find solutions to your legal problems and assist you in managing the legal problems of life so that you can get on and enjoy your life relaxed in the knowledge that your legal affairs are in safe hands. In times of trouble in your personal life, we are there to calm the waters. In times of dispute or turmoil, we are there to assist in pointing the way and be by your side. We’re great listeners and we will really understand your situation. 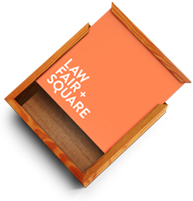 Life is rarely fair – we believe law should be.